Man — what a truly elegant, soul-reflective, ageless piano trio this is, featuring pianist Steve Rudolph & bassist Drew Gress. As our debut album, Day Dream presents favorites from the great American songbook alongside works by Leonard Bernstien, Duke Ellington, Bill Evans, Billy Strayhorn, and Woody Shaw. In concert, we pair such jazz classics with harmonically striking, warm & lyrical original compositions by Steve, Drew and myself. among jazz musicians are often alluded to as a family tree. After moving to central PA in 2003 a colleague, bassist Joe Michaels, mentioned my playing to Steve Rudolph who then hired me to perform at the Harrisburg Hilton — and the rest is fortunately becoming history. From the very first moments Steve & I played together there was genuine chemistry. Rudolph routinely provided gifted, like-minded national class colleagues for our meetings, yet I could never shake my initial impression that the harmonic sophistication, swinging patience, sound, feel and interplay of Drew Gress would truly set Steve free. represents our literal introduction to each other as a trio, captured live for Bucknell University’s Janet Weis Cabaret Series, March 25, 2009 — as well as our brief studio session on the same Natalie Davis-Rooke Recital Hall stage the following morning. Enjoy the kindred celebration found in this dream birth of fresh connections, as the tree of our jazz family continues to nourish us all, listening after listening. 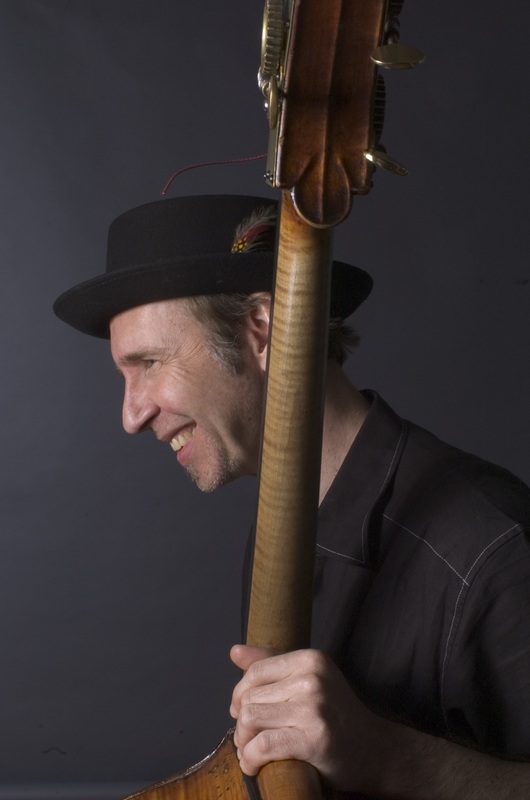 Bassist/composer Drew Gress performs extensively with artists on the cutting edge of contemporary improvised music. 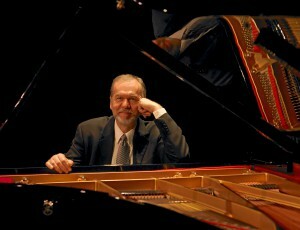 His latest project – The Irrational Numbers (Premonition), features Drew’s original compositions for quintet. Earlier releases include the critically-acclaimed 7 Black Butterflies (2005), Spin & Drift (2001), and Heyday (1997). Future projects include a new quintet project, a solo bass recording, and an electronics projectȳoon to be unveiled. Drew can also be heard within the ensembles of John Abercrombie, Ralph Alessi, Tim Berne, Don Byron, Uri Caine, Bill Carrothers, Ravi Coltrane, Marc Copland, Mark Feldman, Fred Hersch, John Hollenbeck, Tony Malaby, and John Surman. born in Evansville, Indiana, studied trumpet and composition under scholarship at Butler University. He switched his main instrumental focus to the piano at age 22 and was hired by Buddy Morrow to perform with the Tommy Dorsey Orchestra in 1977. Since moving to Harrisburg in 1978, he has been largely responsible for the growth and development of the thriving jazz scene in Pennsylvania. With eleven acclaimed CDs as a leader, Rudolph has served as producer, arranger and performer on many recordings including CDs with Johnny Coles, Bill Goodwin, Ali Ryerson, Matt Wilson and Vinny Valentino. His vast experience encompasses concert performances with many jazz masters including Louie Bellson, Clark Terry, Terry Gibbs, Rufus Reid, Buddy Tate, Al Grey, the Mills Brothers, and Cal Collins. A 20 year veteran New York based artist, Phil Haynes is featured on more than 60 LP, DVD and CD releases by numerous American and European record labels. 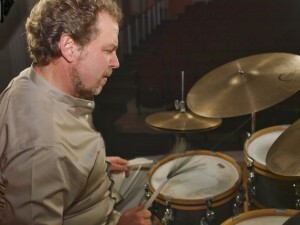 His recording credentials include many of the seminal musicians of this generation: saxophonists Anthony Braxton, Ellery Eskelin, and David Liebman; trumpeters Dave Douglas, Herb Robertson, and Paul Smoker; bassists Mark Dresser, Ken Filiano, and Drew Gress; keyboard artists David Kikoski, Denman Maroney, and Michelle Rosewoman; vocalists Theo Bleckman, Nicholas Horner, and Hank Roberts; violinist Mark Feldman, and the composers collective Joint Venture.